GULF FRONT! 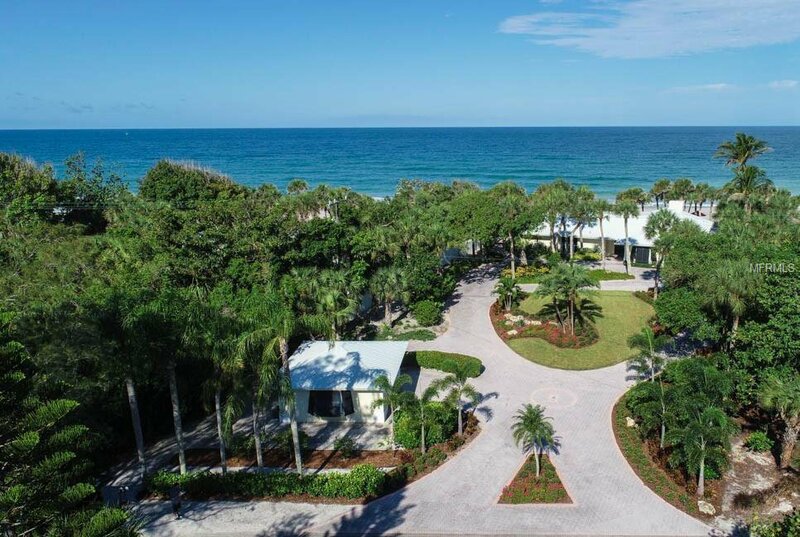 COASTALLY DESIGNED using exceptional craftsmanship to create an opulent beachfront oasis! Open floor plan anchored by a fabulous sophisticated kitchen! Adorned with top brand appliances, such as Sub-Xero, Bosch and Wolf, inspiring your culinary queen or king! The kitchen's focus point is its full gulf views and a custom 8x4 island. Serving as a hub while entertaining, keeping a seamless flow into the family and main living areas! All main areas offer million dollar views of your new pool, “ship style deck”, and private beach! The home office is secluded within home with enough atmosphere to provide a peaceful retreat while working. The lighted beamed living room and vaulted family rooms are both lavish and spacious offering magnificent postcard vistas overlooking the pool and out onto your 100 ft. of pristine private beach with natural sand dunes. The family room also features a working fireplace, wet bar and wine cooler. Living room, Kitchen, Family, and Master Bedroom will give you world class sunsets year round! The covered and screened patio with new pool affords space for your summer kitchen. A Double garage that may be enhanced by a guest studio above. Double pavered circle drive and extra park space. The landscaping is manicured mature and tropical design. Sprinkler system and outdoor lighting. A TRUE GULF TO BAY PROPERTY with a brilliant composite and wood dock that is equipped with lighting, water, boat and jet ski. Water depth is good. TRULY BEING OFFERED AS ONE A SPECIAL RESIDENCE! Listing courtesy of DEBORAH FUNARI HEALY. Selling Office: MICHAEL SAUNDERS & COMPANY.